ACLU case in Pennsylvania aims to change how asylum cases are heard in U.S. 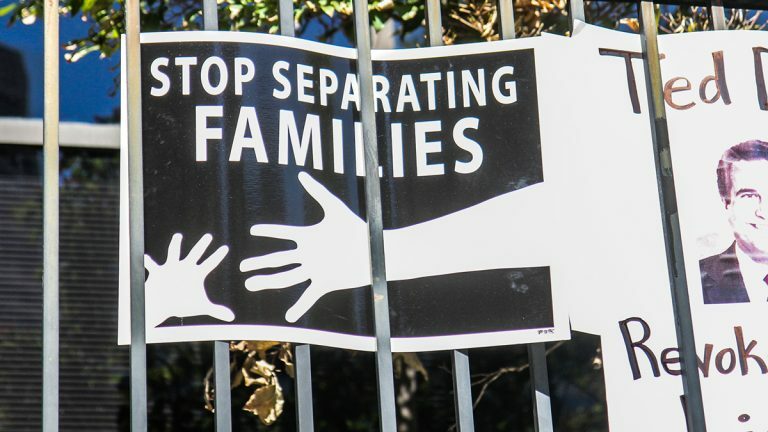 The American Civil Liberties Union is fighting to stop the deportation of 29 Central American women and their children from a detention center in Berks County. The American Civil Liberties Union is fighting to stop the deportation of 29 Central American women and their children from a detention center in Berks County. If it wins that case, it could change how the U.S. treats many other asylum seekers. In Castro v. U.S. Department of Homeland Security, the nonprofit civil rights organization argues that the families “did not get a fair hearing before asylum officers,” said Lee Gelernt, deputy director of the ACLU’s Immigrants’ Rights Project and lead counsel in the case. In many cases, federal asylum officers represent the first test of immigrants’ claims that they are subject to persecution and violence in their home countries. If the officers determine that there is a “significant possibility that the person can demonstrate a 10 percent chance that they will be persecuted,” asylum seekers can continue with their case. If not, they are flagged for deportation. The federal government uses a slightly different standard for migrants it picks up at or near the border. Those migrants are new, and not established residents of the U.S., so the process of removing them is called “exclusion” not “deportation.” Under exclusion, migrants have fewer avenues to make a legal case they should be allowed to stay. The families in this case are not getting their full legal rights, according to Gelernt, because they were picked up on American soil shortly after crossing the border. Gelernt and counsel have appealed that decision to the 3rd U.S. Circuit Court of Appeals. A 14-day stay has been granted on the deportation order of the families, to give them a chance to file an emergency stay pending the appeal. Over the last five years, tens of thousands of women and children have fled gang violence and poverty ravaging Central American countries including Honduras and El Salvador. Thousands are picked up in Mexico or at the U.S. border and sent home, according to a January report by the Migration Policy Institute.